To find the best line to meet your needs… 1) Narrow your results using the selections in the sidebar. 2) Click the icon above to switch to list view in order to view summaries of each line. 3) Select the line to view more detailed information. 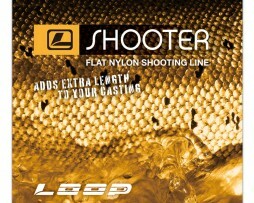 LOOP's Shooter Shooting Line is a flat nylon shooting line with an intermediate sink rate. 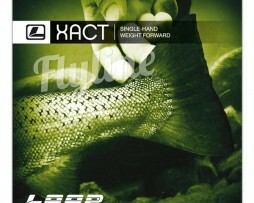 Xact is a fly line suitable for almost any fishing situations. It's easy to cast and has a traditional weight forward taper that matches well to different rods. The Xact line is our top recommendation for those looking for a great all-round line. Floating running line for fishing with shooting heads. These shooting heads are great for shooting heads on single-hand rods in addition to their traditional use on spey rods. Running line provides the correct resistance for the best control. These lines are integrated with 7 inch long loop connector for easy change of line. Dacron core. Big fish, big flies! 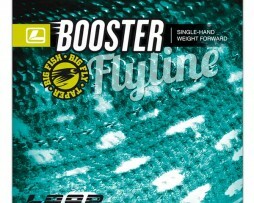 The Booster Line will turn over big bugs like no other. 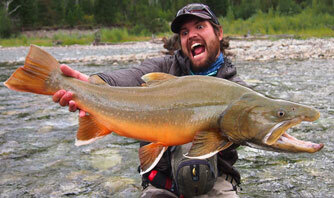 If you're looking for a line to thow at big, toothy critters then look no further! It features a short front taper and outstanding weight distribution. Integrated welded loop for quick and easy change of leader. This for sure is THE line for big, nasty flies, be it for big muskie or whatever predator demands the gnarly nasties. The Evotec 140 Line is designed for both over- and underhand casting (roll casting) everywhere from medium to extreme long distance. With a 46 foot head length, plus a 7ft back step, a unique compound rear taper, this line is the ideal choice for the experienced caster who wants the ability to reach out to the far bank without having to get their feet wet. 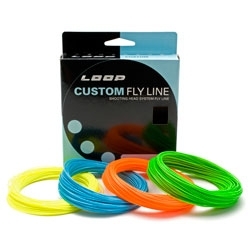 Just like with most of LOOP's other fly lines, the two-tone color lets anglers easily identify where the head ends and when it's time to stop false casting and shoot some line! Evotec 85 is specifically designed for both over- and underhand casting (spey-style casting) in both tight spaces and medium distances. With a head length of 28 feet and a unique compound rear taper, the 85 delivers maximum technical capability when limited room is a factor. The Evotec 100 Line you covered for any scenario: over- or underhand (spey-style casting) and from close range to long casts. With a 34 foot head length and a unique compound rear taper, the Evotec 100 is the clear choice for those looking for a technical all-round fly line. 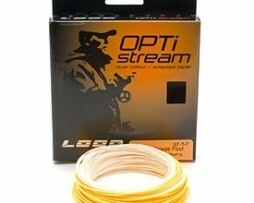 As the name would suggest, the LOOP Opti 165 Distance is the line for long distance casting. The long belly and adjusted taper gives an optimal balance between very long reach and delicate presentation. This line was developed ideally for situations where distance is critical to success. Head length is 54 feet. As with most of LOOP's other lines, the two-tone color lets you easily identify where the line's head ends and when it's time to stop false casting and send it! The LOOP Opti 210 Max Distance is based on the same concept as the Opti Distance, but has an even longer belly and corresponding balanced taper. 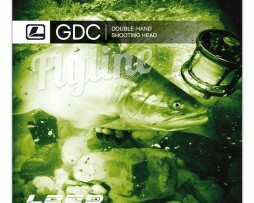 This line was developed for max distance and the longest possible single hand casts for both angling and competition situations. Head length is 70 feet. 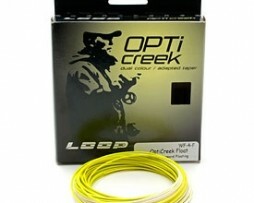 The LOOP Opti 130 Distance is a great line for long distance casting. The long belly and adjusted taper gives a fine balance between delicate presentation and very long reach. This line was developed for situations where distance is critical to success. Just like most of LOOP's other lines, the two-tone color lets anglers quickly identify where the head ends and when it's time to stop false casting and send it! Head length is 43 feet. The Loop Evotec 100 Intermediate Line is built on the same principals as its floating version and is a great all-round fly line. 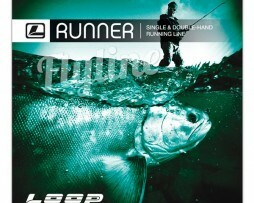 Good with both over- or underhand (spey-style casting) and from close range to long casts. 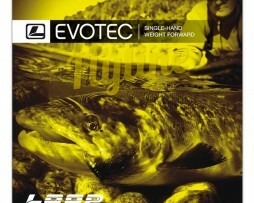 With a 34 foot head length and a unique compound rear taper, the Evotec 100 is the clear choice for those looking for a technical all-round fly line that needs to get closer to where the fish are! 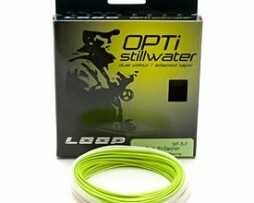 The LOOP Opti Stillwater line is a great all-round line that's designed for bigger streams and lake fishing. The taper enables long casts and is designed to set your fly down with precision even at distance. Like most of LOOP's other lines, the Opti Stillwater comes in a two-tone color that lets you easily identify where the head ends and when it's time to quit the false casting and send it! Head length 35 feet. The LOOP Opti Stream is precisely as the name indicates: for flowing water. The new taper is designed for extreme ease in both underhand (spey style) and overhand casting. Easy to pickup and shoot overhand and yet perfectly balanced for tight, underhand casts. Head length varies between 26ft-31ft depending upon line class. 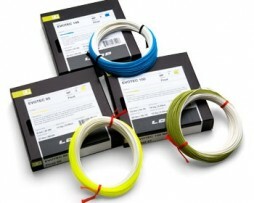 This has been our go-to line for throwing streamers in the 6wt and 7wt. It's GREAT at turning over big bugs and placing casts exactly where you need them right at the bank. The LOOP Opti Creek line could be deemed the nemesis of vigilant fish. 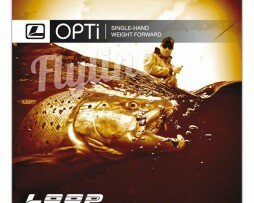 The line is a development of the Opti Stream specifically for 3wts. It has a slightly shorter head for better feeling and presentation. The taper is refined for an even better presentation and is well-suited both for over and underhand-casts (spey-style casts). The improved roll casting suitability comes in handy not only on moving water, but when you're fishing those tree-choked shorelines of a high mountain lake. As with most of our other lines, the two-tone color lets you easily identify where the head ends and when you can send out a bomber cast! Head length 23ft. The Custom 155 and 185 shooting heads are constructed for those who want to customize to their own weight/ length and add their own loops. The lines are available in two standard lengths, 15.5 (51ft) and 18.5 (61ft) meters, with recommendations for modifications. 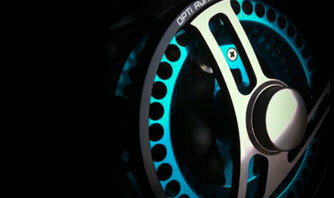 The design comes from a tournament line that has been adapted for fishing. 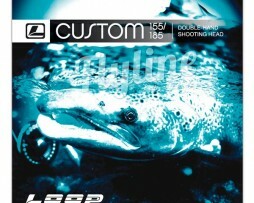 The standard, uncut Custom 155/ 185 line weighs 44/53 grams (1.55/1.87oz).